A blog without readers is a blog inside of a vacuum. There are thousands, if not millions, of blogs on the Internet, so competition for readership is fierce. Even if you have the best content, it may go unnoticed if you don't engage your audience outside of your blog posts. 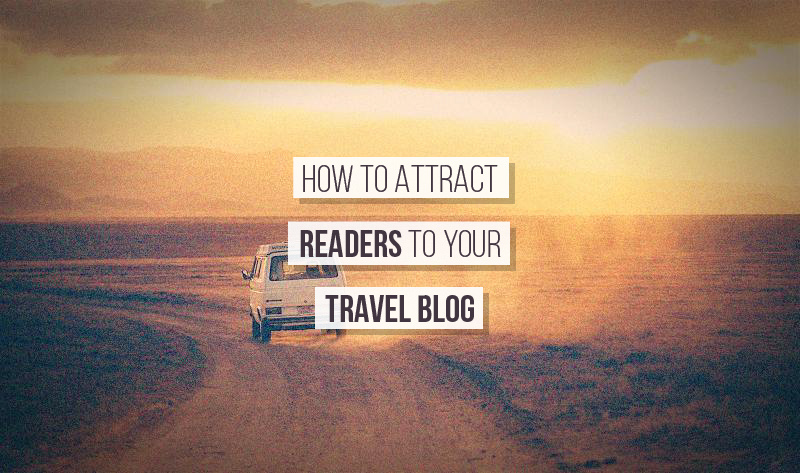 If your blog has been struggling lately, adopt some of these tips to attract an audience that not only reads, but participates as well. Thousands of travel bloggers share their exotic destinations with their readers, but few master the art of moving from A to B. The Points Guy is a good example of a blog that engages its readers. As one of the premiere travel blogs that specializes in air travel and credit card redemptions, The Points Guy reviews first class flights from airline companies around the globe and tips on the best card to rack up free miles. The Points Guy blog sees thousands of unique visitors each month. One of the ways it engages its audience is with giveaways, including Amex gift cards, airline miles, hotel stays and award statuses. Even if you can't afford to hand out $500 gift cards, small trinkets from your travels go a long away and can encourage new readers to sign up for your social media channels (a common way to enter giveaways). The best travel blogs go beyond a glorified Pinterest board or journal entry to give readers an exact road map of how their trips were made possible. Indefinitely Wild, a sister site to Gizmodo, is an excellent example of showing, not telling. The authors of this outdoor, hiking and camping website, venture out on expeditions and give readers the play-by-play every step of the way. For example, this post from Santa Cruz Island breaks down how to do it, what to buy, when to do it and how to avoid the mistakes they made along the way. Take your readers along on every journey, and walk them through your experiences. Don't just show highlights and picture-perfect moments. Let them learn from your mistakes, too. As a travel guru, you're always looking to avoid tourist traps. But remember, your readers may be new to your favorite spots and want to see the sights. They may not be completely ready to "do as the Romans do." For example, if you write a post on your trip to New York City, don't leave out Broadway shows just because they're old news to you. While you might be over the novelty, your readers may love the flash and pizzazz of these shows. Your best content should always live on your own site. Period. But don't underestimate the reach of other popular sites in your genre. If you blog about the great outdoors, a guest post on REI or Backcountry could be huge publicity for your name and brand. These companies always tweet and post their latest articles on social media, giving your material that much more exposure. Aim for a guest post every 1 to 2 months. Even if they're not reading your blog, followers on Twitter, Facebook, and Instagram matter. Post well and often about current events and experiences in your industry to help build an audience through social media. Maybe not all of them will find their way to your site, but some of them will. Also make sure your social channels have life of their own. They shouldn't be overly promotional and should hold your audience's attention on their own.